The weather is turning cooler and the leaves are changing color, fall is officially here! 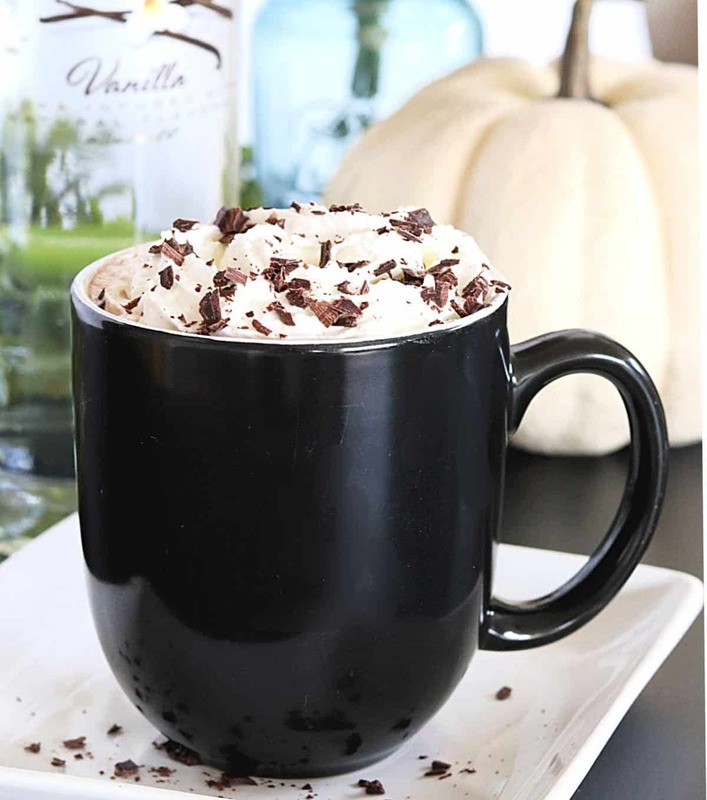 What better way to kick off the season then with a warm spiked pumpkin spice hot chocolate. This drink is perfect for cool nights. It’s week 2 of the fall cocktail series which means you will find 9 other fall cocktails at the end of this post, be sure to check them out. A spiked hot chocolate can be as simple as adding a little liquor to a packet of pre made hot cocoa. Or, you can take a few minutes to make this delicious drink from scratch. 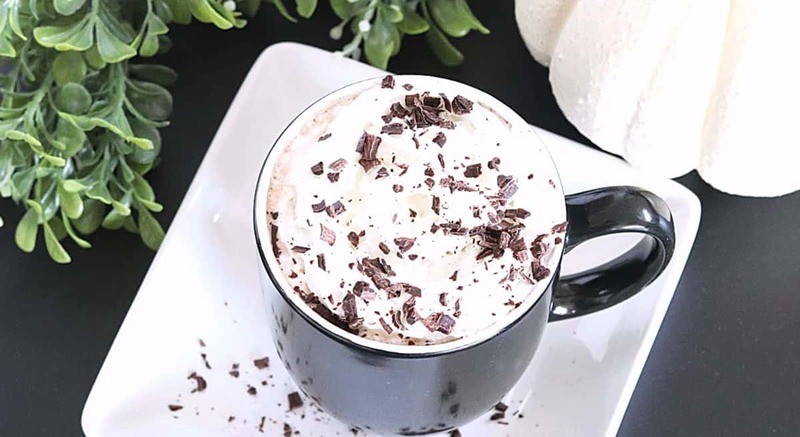 Once you’ve made hot chocolate from scratch, and learn just how simple it is, you won’t want to go back to the pre made mix. Sugar and cocoa powder combined with milk over low heat is all it takes to make homemade hot chocolate. Add a little vanilla and pumpkin pie spice and you have a fall drink the whole family can enjoy. I like to make a batch just like this for my kids, then add a shot of vanilla vodka for the adults to enjoy. In a small saucepan combine sugar, cocoa powder, vanilla, pumpkin pie spice and milk. Whisk continuously over low heat until all ingredients are combined and milk is heated through. Simmer, do not boil. Pour hot chocolate into a mug and stir in 1 ounce of vanilla vodka. 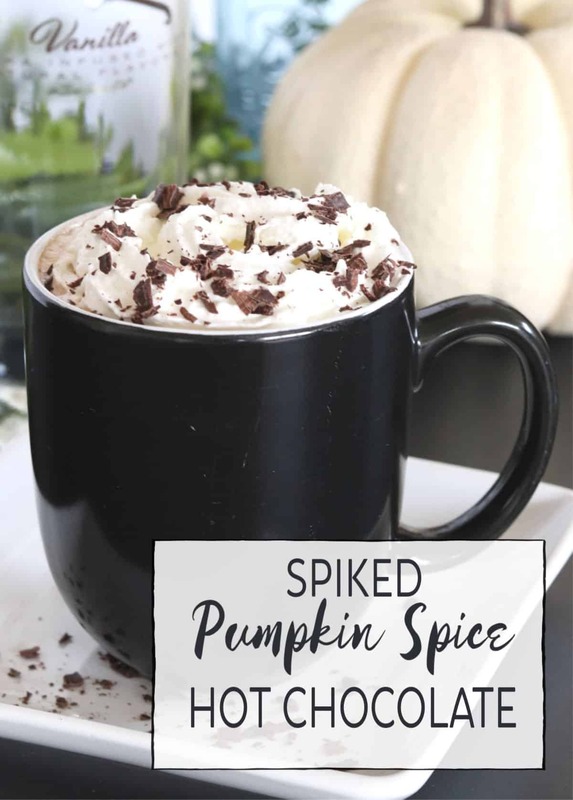 If you are a fan of warm fall drinks try this pumpkin spice latte and easy latte that will warm you up during the cool nights ahead. 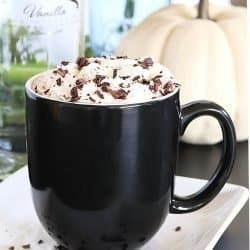 If you like this pumpkin spice hot chocolate be sure to pin it and share the recipe. Now take a look at these other delicious fall cocktails. I have never made my own hot chocolate. We have long winters in Iowa and I think this is perfect! Thanks so much for sharing the recipe. I am printing it!